Ep. 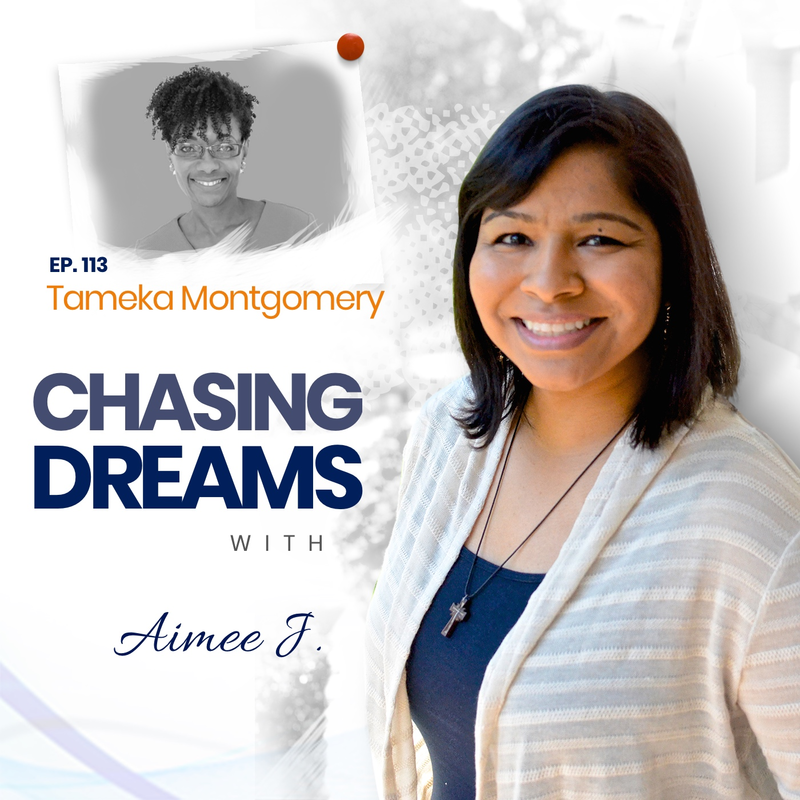 113: Tameka Montgomery – Raising Entrepreneurs and Dreamers | Aimee J.
Tameka Montgomery is the founder of the podcast, Raising Entrepreneurs: A Parent’s Guide to Fostering an Entrepreneurial Mindset. In 2013, President Obama appointed Tameka to lead the U.S. Small Business Administration’s Office of Entrepreneurial Development, where she was responsible for a budget of more than $160 million to deliver training and technical assistance programming to the nation’s 28 million small businesses. In 2015, Washington Post online named Tameka one of the 19 most influential people in Washington, DC, who can affect your small business. Prior to her presidential appointment, Tameka led the award-winning and nationally-recognized Denver Metro Small Business Development Center. 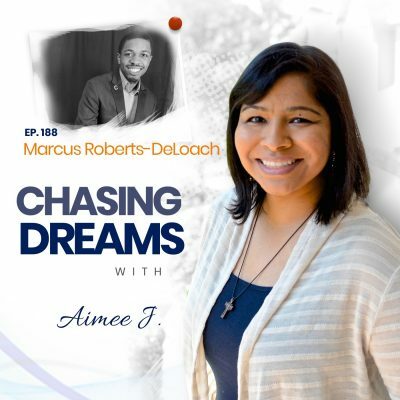 Tameka is a graduate of Spelman College and Columbia University and holds an honorary doctorate in entrepreneurship from Johnson and Wales University. Tameka now calls the DC metro area home, where she lives with her husband, Jonathan, and their three young entrepreneurial sons. Can you see how small steps and circumstances have pointed you in the right direction to chase your dreams? Tameka wanted to attend a historically black college, but wasn’t sure about Spelman College at first. Through a couple of “fluke” spur-of-the-moment decisions, Spelman was where she ended up, although she originally wanted to pursue a communications major to become an investigative reporter. Since Spelman is a liberal arts college, she settled for an English major and then spent some time in the Peace Corps. Have you been there? After her time in the Peace Corps, Tameka went to graduate school and then ended up in DC working for the Department of Juvenile Justice, developing policies and overseeing delinquency prevention. It didn’t take long for her to realize the monotony of a federal government job was not what she was cut out to do. She soon moved back to Colorado and worked to make her small business development center #1 in the country. Have you experienced those times when your path changes because of a networking move from the past? 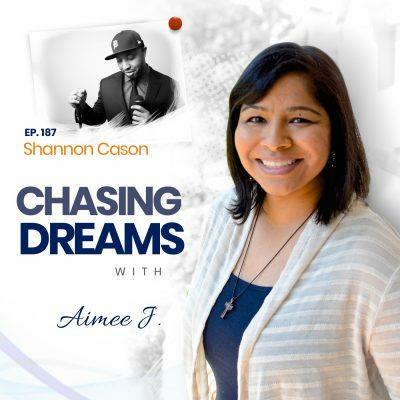 Tameka’s story shows the power of networking and taking initiative, and how God orchestrates things beyond our control. Tameka was committed to being genuine, being “nice,” and leaving a great impression on the people she met along her career path. She never realized how these commitments would play into her future, all because she was always open to new opportunities.